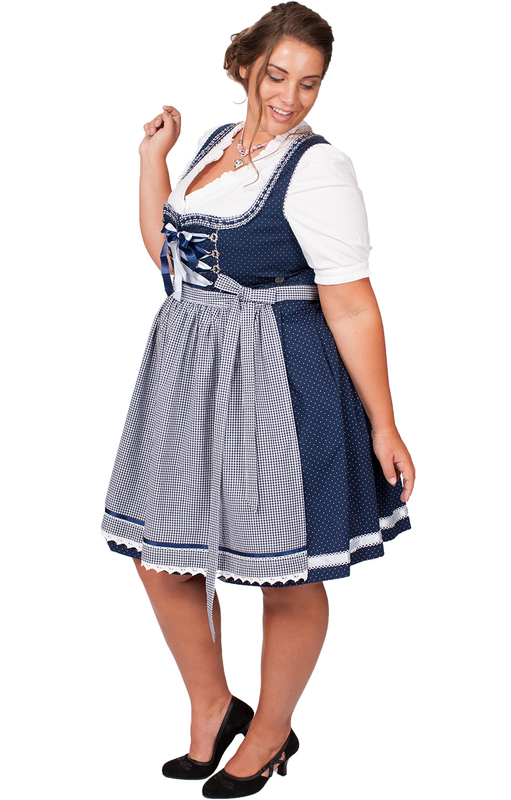 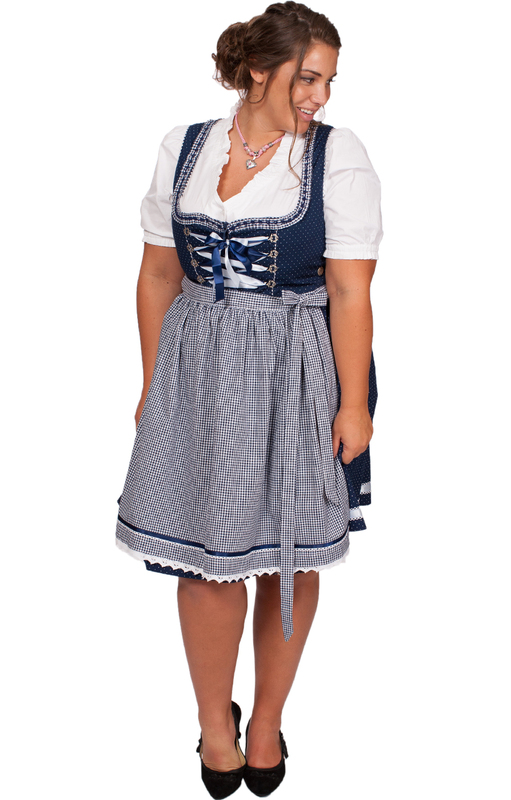 Miriam2 blue plus-sized Dirndl dress. 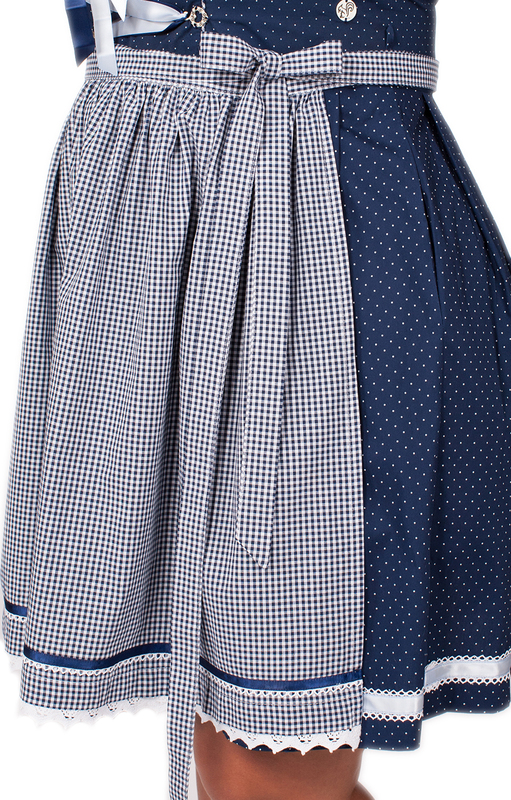 The traditional blue-and-white chequered pattern on the apron that ties onto the front of this classic Dirndl is slightly pleated and edged with white lace. 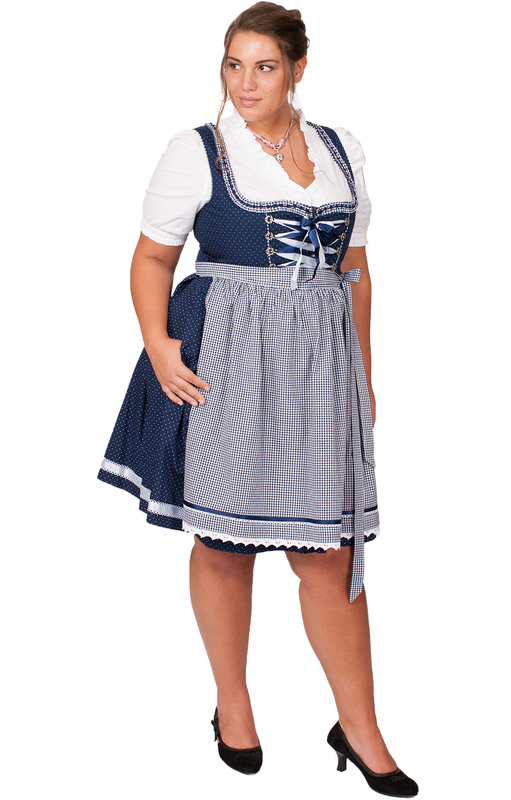 The dress itself measures 58cms and features a dark-blue background; ladies who want to come out to play at Oktoberfest will have found a great choice.